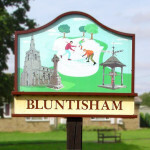 Bluntisham Parish Council would like to wish everyone a lovely Christmas. Although the office won’t be closed officially over the festive period there will be reduced hours worked by the clerk and caretaker. If anyone needs to contact the clerk then please do so using the mobile number 07725 308115 and she will respond as quickly as possible. Don’t forget it’s not to late to put yourself forward to volunteer to help with gritting our paths during the cold weather, just drop the clerk an email and she will do the rest. The next Parish Council meeting will be on Monday 4th January 2016. Bluntisham Parish Council would like to wish everyone a very Merry Christmas and Happy New Year. The next Parish Council meeting will be held on Monday 7th December at Bluntisham Village Hall. All welcome to attend the meeting from 8pm.